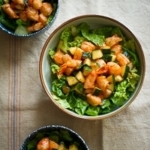 Even as an appetizer, sriracha shrimp cocktail is a crowd pleaser, particularly if everyone loves spicy food. 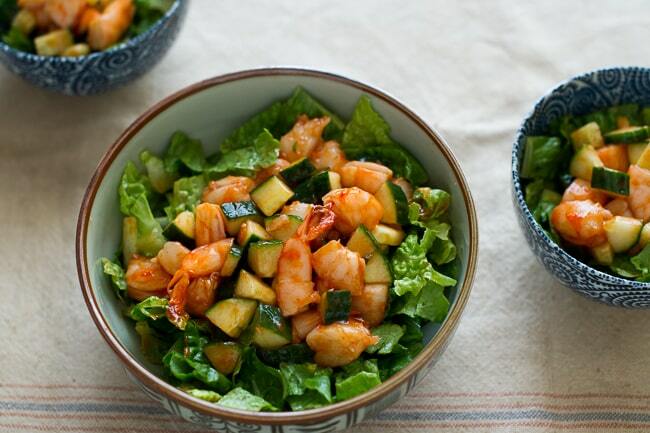 But take a classic shrimp cocktail recipe, add sriracha and lettuce and you can make it into a healthy lunch or dinner. This is one of those recipes that doubles as a party appetizer and when you have leftovers, it serves as a great meal. Mix it up and add your favorite salad fixings like croutons, extra chopped vegetables and maybe even some cheese. Either way, you can’t go wrong if you love sriracha hot sauce and shrimp cocktail. Please see post for more recipe details. 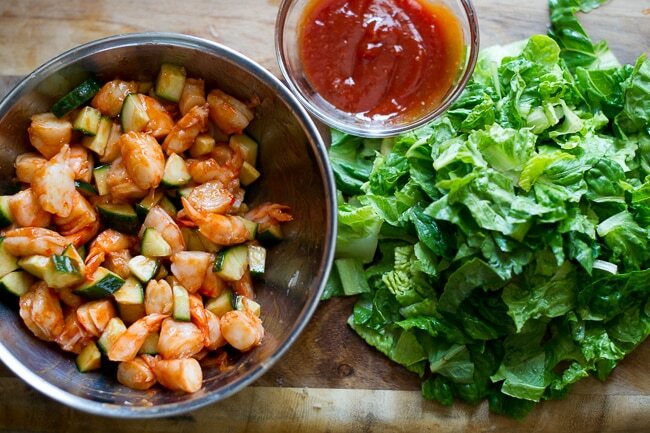 In bowl, combine ketchup, soy sauce, sriracha hot sauce, Worcestershire, horseradish, fresh lemon juice and black pepper. Stir and combine well. Refrigerate the cocktail sauce for about 30 minutes. Cut the shrimp into bite sized pieces and combine with the cocktail sauce. 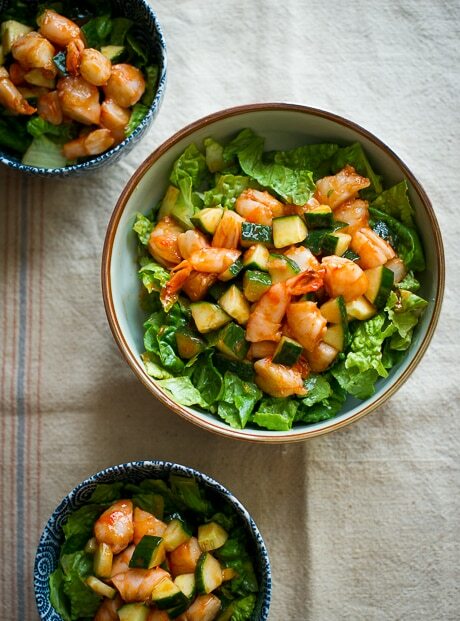 When ready to serve, toss together the lettuce, cucumbers, shrimp and cocktail sauce. Serve with fresh lemon slices.